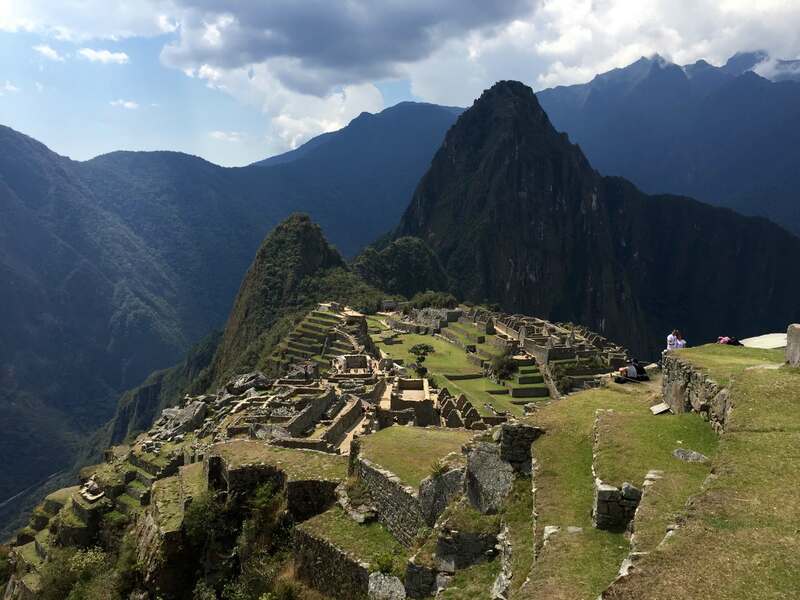 Machu Picchu is a rare gem. 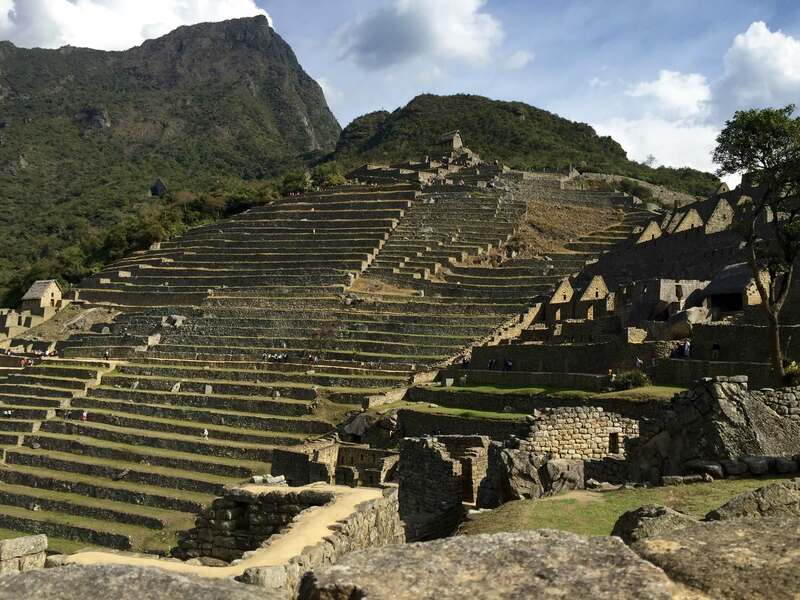 A lost Incan city that shows some of the most remarkable archaeological artifacts from the 1500’s, it also has one of the best views in the world. 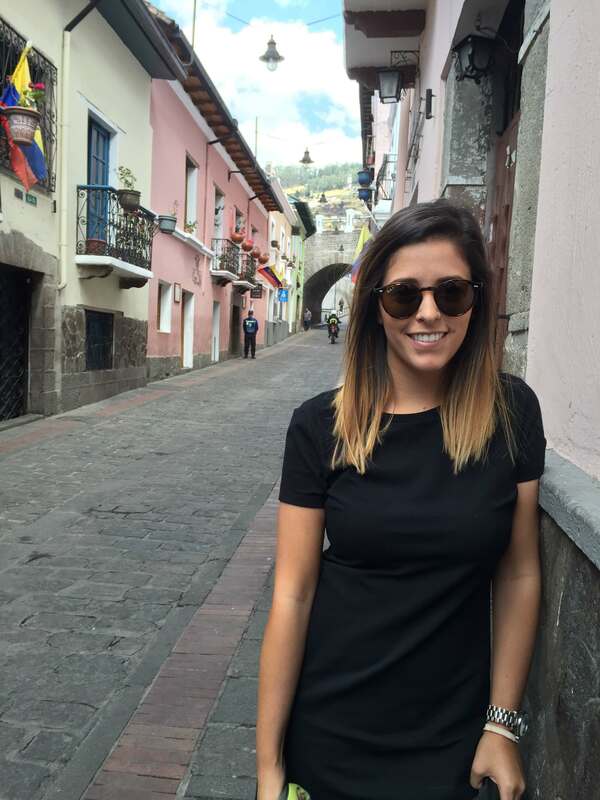 Here are my top ten facts about Machu Picchu, not in any particular order. 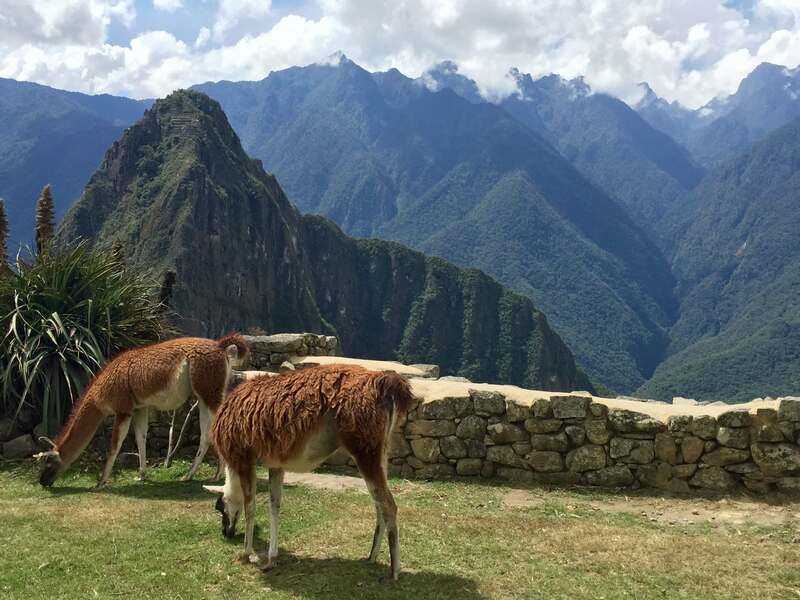 Llamas taking in the view of Machu Picchu. 1. 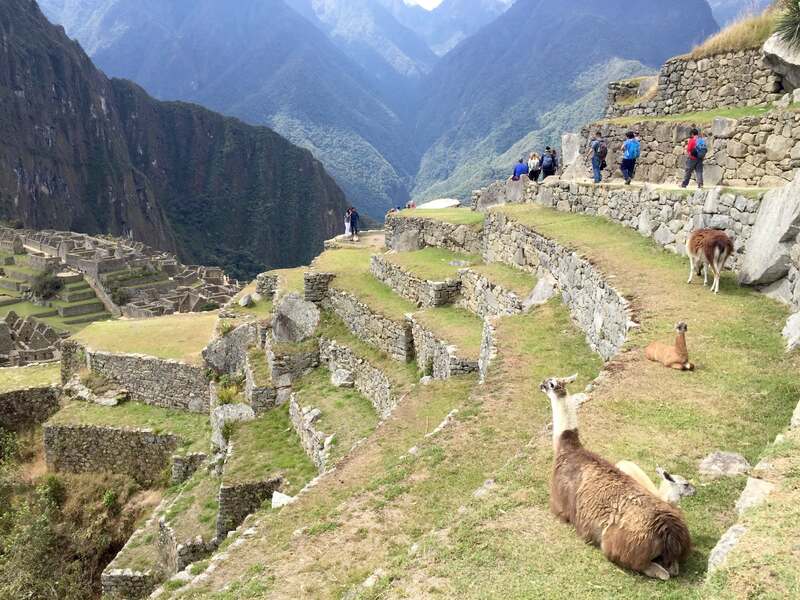 Machu Picchu is one of the New 7 Wonders of the World...and has every right to be. It’s also a UNESCO World Heritage Site. Pictures just don't do this place justice. 3. The indigenous language of the Andes is Quechua and for a long time it was only a spoken language. That’s why the history of Machu Picchu is still being discovered. 4. Because it was only a spoken language for hundreds of years, the purpose of Machu Picchu is still unknown but there are many theories. Some theories are that it was a royal palace for the Inca king and/or a ceremonial site or rather a pilgrimage site. The terraces of Machu Picchu. 6. The Incans were some of the best masons in the world. 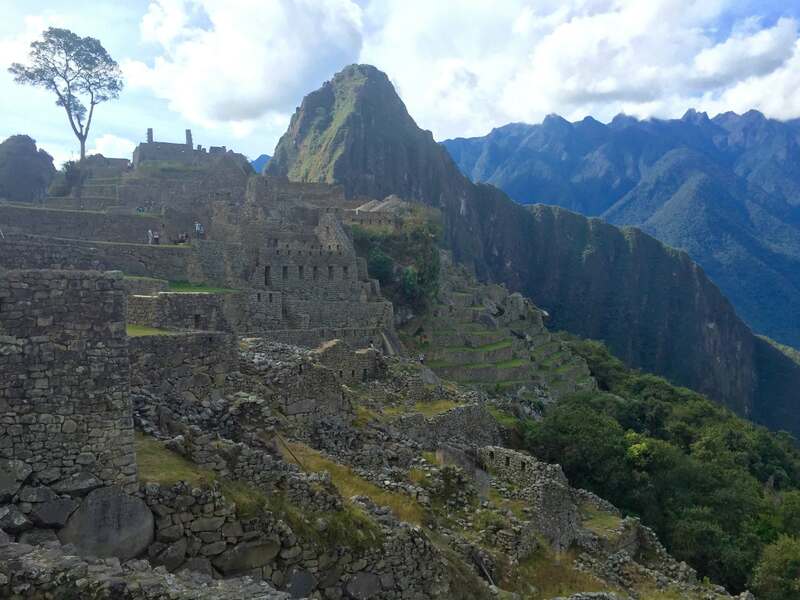 The structures, staircases and shelters that were built fit perfectly and it’s said that 70-80% of what is seen today at Machu Picchu is original. 7. There are also theories that all the structures were built by hand with handmade tools using the rock formations found in the area. The llamas and the people enjoying the view. 8. Machu Picchu is set in the Andes Mountains in the Amazon. There is life all around the site from insects to animals and all sorts of plants and flowers. 9. The Inti Watana stone and the Inti Mach’ay are two important structures in Machu Picchu that showcase the rituals and festivals the Incas celebrated. The structures are also used with sun on certain days. 10. Most of the Inca civilization was destroyed by the Spanish when they took over in the mid 1500s. Machu Picchu was built on the top of a mountain at nearly 8,000 feet (2,430 meters) above sea level, meaning it was not visible from the ground below making it one of the most remarkable and well-preserved Inca cities. What are you waiting for...go check this magical place out for yourself!